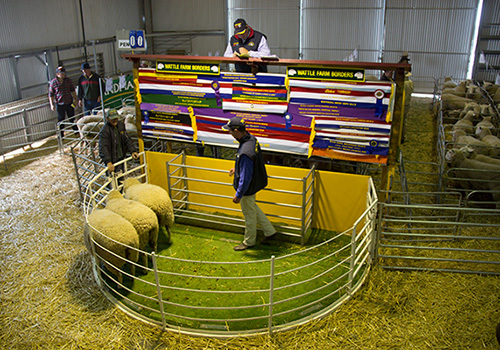 Wattle Farm Border Leicester Stud was established in 2005 by Jeff Sutton and family to meet the growing demand for quality Border Leicester Flock and Stud Rams in the Riverinia and State wide. The point of Difference at Wattle Farm is we buy the highest of quality rams on the market to ensure our client get the best return possible. Our aim is to provide the sheep farming community with quality sound performing rams for crossbreeding purposes and or the enhancement of their own stud quality flocks. 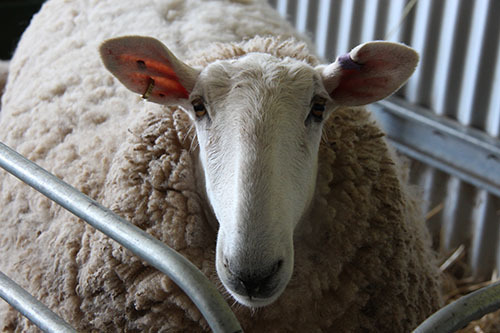 Wattle Farm provide structurally sound sheep,with excellent growth rates and quality constitutions. Our ewes have excellent milking ability. We focus on producing borders with quality wool and are even as a type. Our rams are in immaculate condition and have grown out and will be presented to clients in excellent working condition. The Wattle Farm Border Leicester Rams and Ewes for sale have high Border Dollar Indexes and lamb plan data is available to all our clients. Delivery Of Our Rams - Delivery of our rams will be complementary for 8 rams or more to most areas in Southern New South Wales regions and rams will be delivered within fourteen (14) Days from the date of purchase at no extra cost. Please contact Jeff Sutton to make arrangements for your Border Leicester Ram Requirements this season. Where are we? For more information please contact Jeff Sutton. Wattle Farm Gold 1st interbreed Longwool ram of the Show. please see show success for details. "Suppee" was the winners of the Champion Ram at the NSW Sheep show in 2009 and then again in 2011 and then going on to win the Grand Champion Border Leicester at Melbourne Royal 2011.